A heated home doesn't have to go hand in hand with dry air. Pick out the perfect room humidifier with the help from our guide, and you'll rest comfortably indoors all season long. Heating and air conditioning strip your home’s air of its natural humidity. The result: An uncomfortable dryness that leaves your skin feeling dehydrated, contributes to sinus and respiratory problems, and even promotes static electricity—that annoying shock you get every time you cross a carpeted room and touch the television. A little added moisture in the air helps alleviate dust mites and soothes irritated nasal passages. In addition to a handful of household hacks, homeowners can rely on humidifiers to help the situation. Humidifiers have been around for decades but today’s models offer more choices than ever before. We’ve done the legwork and found out what features buyers want most in room humidifiers as well as which models they rate as the best room humidifiers. 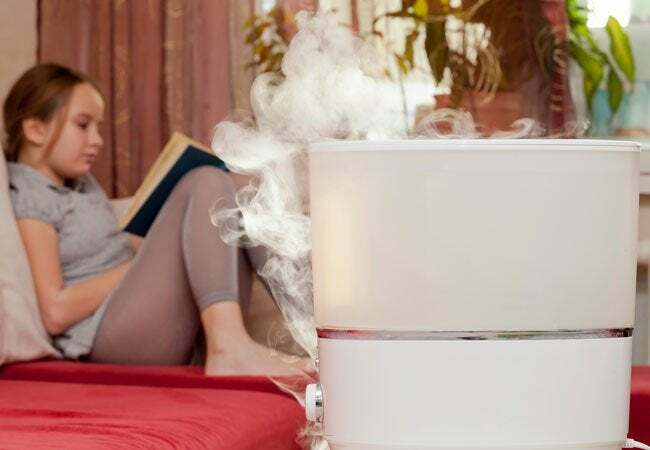 Keep reading to learn all about today’s room humidifiers and to discover why we’ve selected the following six as great choices for your home and lifestyle. Demystify cool mist versus warm mist. Both cool mist and warm mist humidifiers add much-needed moisture to dry indoor air, with slight differences. A standard warm mist humidifier brings its water to a boil to inject the room’s air with a little extra moisture; this high heat reduces the risk of bacterial transmission, leading it to be considered slightly healthier. Warm mist humidifiers are also typically quieter to operate since steamy mist naturally rises, eliminating the need for an internal fan. They do require additional cleaning, however, because the boiling process leaves behind mineral deposits. A cool mist humidifier uses a fan to blow air through a damp wick, so it can be noisy when it turns on. 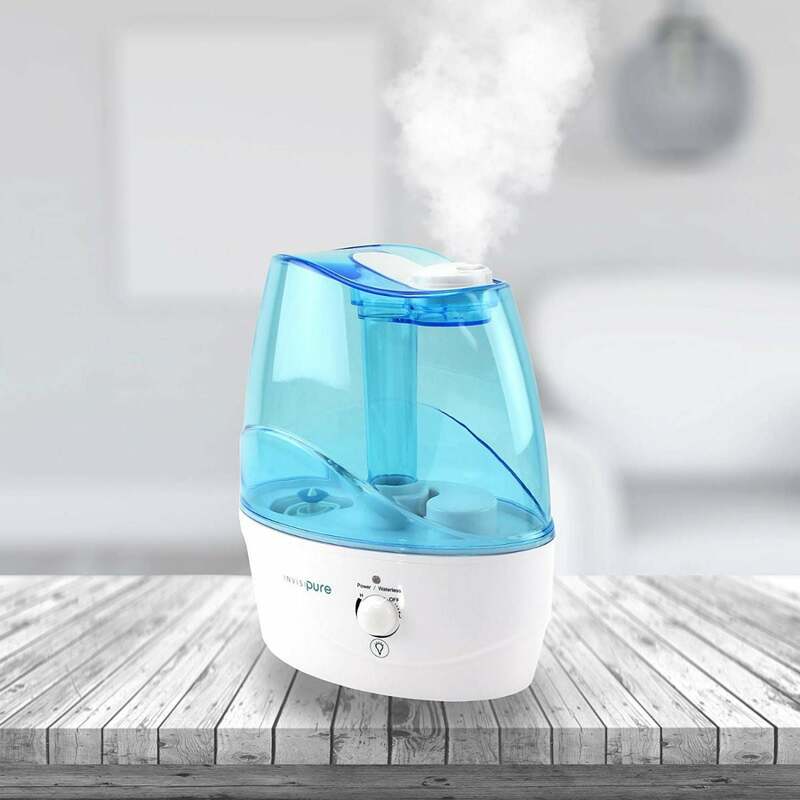 Cool mist humidifiers are preferable to warm mist humidifiers, however, in homes with small children since undo the dry air without presenting a risk of steam burns to little fingers. 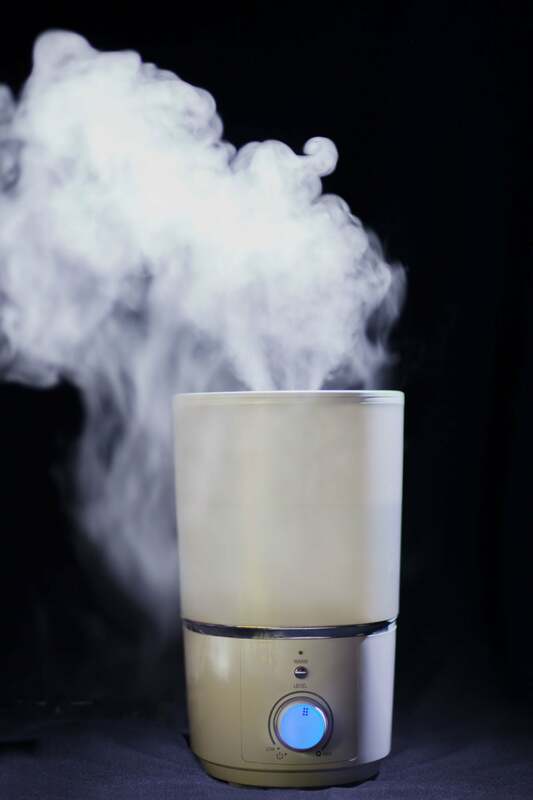 Ultrasonic humidifiers—the new kids on the block—can disperse a warm mist or a cool mist, or both. Cool mist option is more common, but some models include an internal heater that facilitates a cool mist in the summer and warm mist in the winter. Instead of utilizing a strong fan, as your standard cool mist humidifier might, an ultrasonic humidifier breaks up water droplets into mist using a ceramic diaphragm that vibrates at a frequency too high to be audible to the human ear. 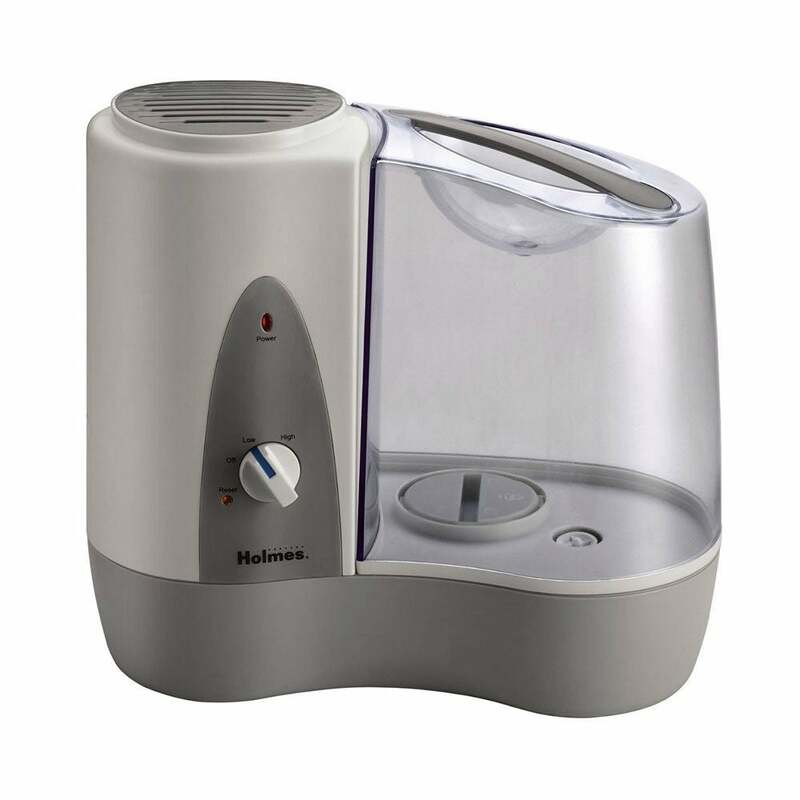 Best of all, most ultrasonic humidifiers are whisper-quiet, so they won’t interfere with your sleep. A humidifier that is too small may not be sufficient, while one that’s too large could add so much moisture in the room that droplets appear on furniture and other surfaces. Fortunately, humidifiers are rated by intended room size. A small room humidifier effectively treats rooms with less than 400 sq. ft. of floor space. They are often portable and lightweight, making them a good choice for bedrooms, nurseries, kitchens, and other small rooms. Medium-size room humidifiers treat rooms between 400 to 900 sq. ft. and are only semi-portable. For a room with 1,000 sq. ft. or more, look for a large room humidifier. Large room humidifiers feature bigger water reservoirs and therefore are stationary. After extensive research and comparison, we’ve narrowed down the best humidifiers on the market today to six outstanding choices. No matter how large (or small) the space you want to humidify, one of the following room humidifiers is sure to suit your needs. If you’re looking for a quality humidifier that’s easy to operate, you won’t go wrong with the URPOWER Whisper-Quiet Cool Mist Humidifier. It humidifies rooms up to 800 square feet at the touch of a single button. Simply press “Start” to turn the humidifier on and off—no dials and no other adjustments necessary. This is a perfect humidifier for the elderly or for anyone who wants soothing cool mist without the need to constantly adjust the unit. 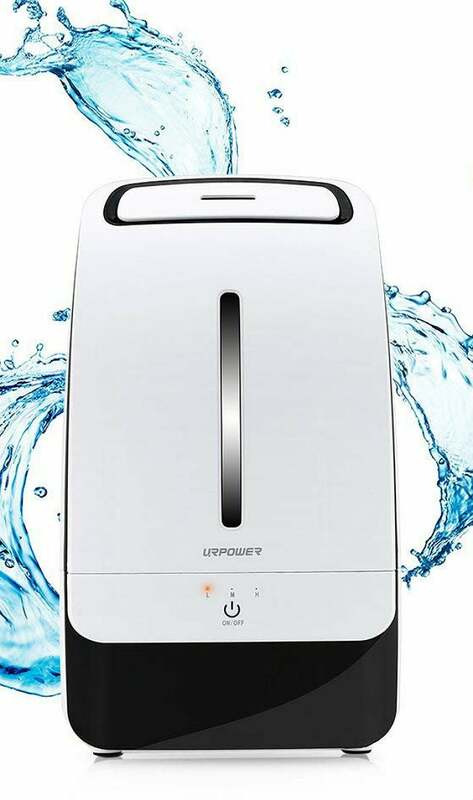 The URPOWER features a safety shutoff to turn the humidifier off when the water reservoir is empty, and it comes with a large capacity, 5-liter reservoir that operates up to 17 continuous hours before needing a refill. Amazon buyers give the URPOWER a hearty 4.3 stars for its single button function, quiet operation, and large capacity tank. With the soothing glow of a nightlight and whisper-soft operation, the InvisiPure Wave Nursery Humidifier is a hit with parents of infants and toddlers. It comes with an easy-to-clean 2.5-liter water reservoir that gently humidifies rooms as large as 400 square feet for up to 25 hours on a single fill. The InvisiPure features a 360-degree nozzle so you can direct the mist output in any direction, and the unit automatically shuts off when the reservoir runs dry. At less than 10 inches high and 6 inches wide, this compact humidifier won’t take up much room on a dresser or a changing table. Amazon buyers love the InvisiPure humidifier, giving it an enthusiastic 4.2 stars for its touch-control nightlight and long run-time. For great rooms and family rooms larger than 800 square feet, the Pallas Cool Mist Humidifier is just the ticket. Its 5-liter reservoir infuses the air with moisture for up to 20 hours on a single fill. 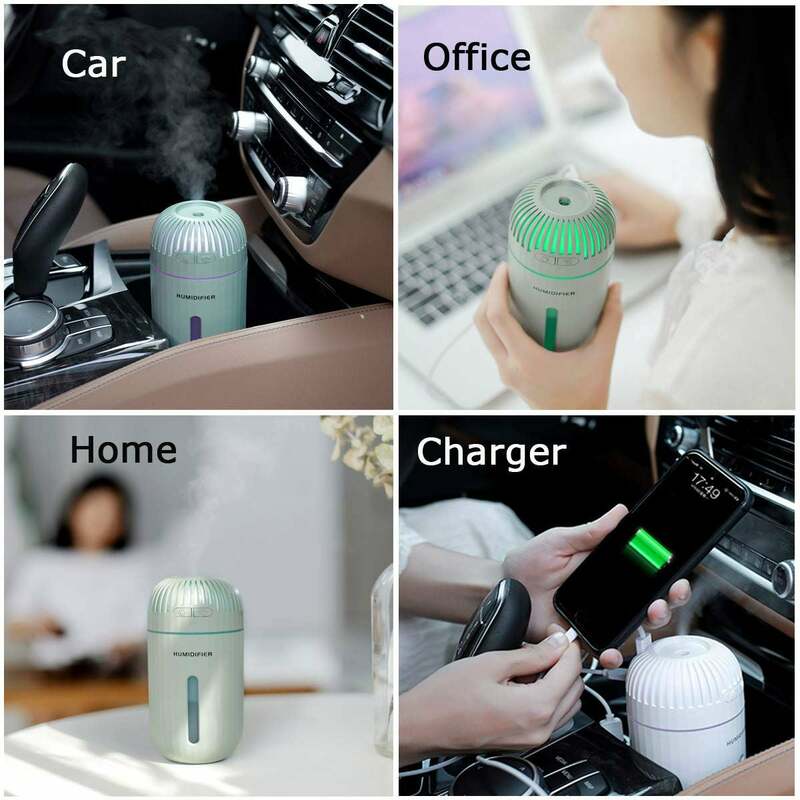 It features a 360-degree rotating nozzle so you can direct cool mist in any direction, and it contains an activated carbon cartridge to filter microorganisms and dust particles out of the air. 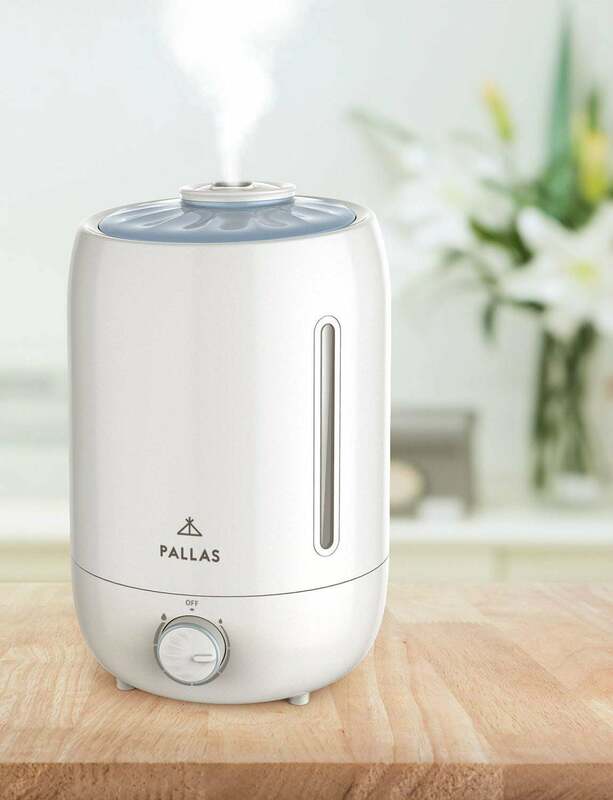 Amazon buyers give the Pallas Cool Mist Humidifier a resounding 4.6 stars for its ability to quietly humidify large rooms without excessive noise. If you prefer warm mist over cool, the Holmes Warm Mist Single Room Humidifier won’t disappoint. It treats small rooms up to 400 square feet for up to 24 hours on a single fill. Amazon buyers rave about the soothing warmth of the Holmes humidifier, awarding it an enthusiastic four stars for its quiet operation, soothing warm mist, and easy cleanup. The water reservoir can be put in the dishwasher! The unit features adjustable “Hi” and “Low” settings so you can regulate the humidity to suit your comfort level. Whether your office is at home or in a high rise, electrical outlets are often at a premium—taken up with computers, printers, and monitors—leaving no empty outlet for anything else. If your office has a case of the too-few-outlet blues, look no further. The GREATSSLY Mini USB Cool Mist Humidifier is the solution. Instead of plugging into an electric outlet, this personal little humidifier plugs into a USB port. Attach it to a PC or laptop and you’ll have instant cool mist at arm’s reach. This mini humidifier holds just 310mL of water but it offers up to 12 hours of relief. Amazon buyers give the GREATSSLY humidifier 4.4 stars for its USB plug-in feature, portability, and quiet operation. Set the mood with relaxing or uplifting aroma just by adding a couple of drops of essential oil to the Truky Aromatherapy Cool Mist Humidifier. 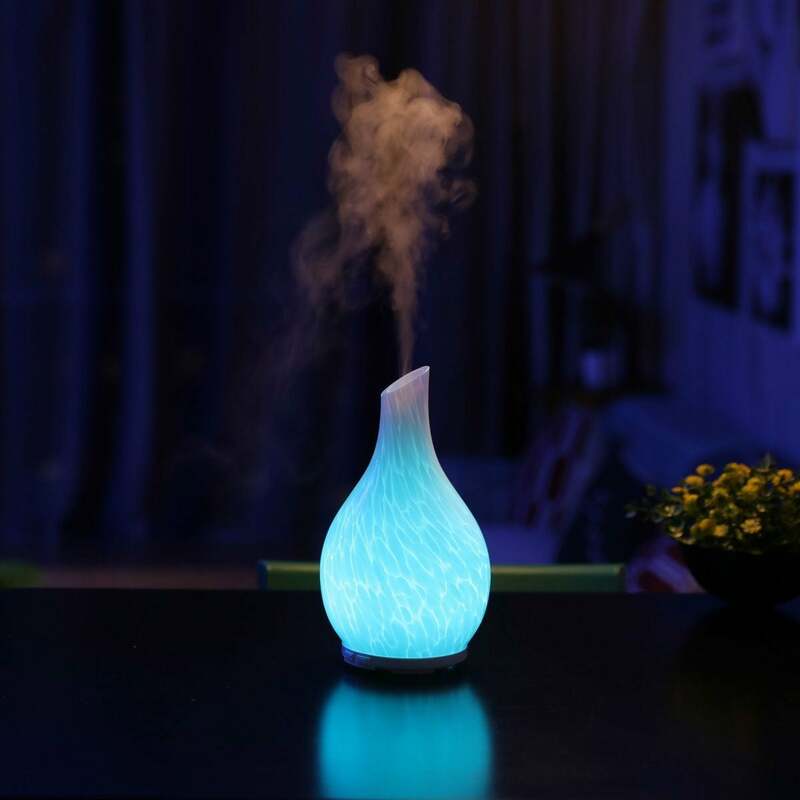 Resembling a decorative vase, this stylish humidifier allows you to add your favorite essential oils and infuse the air in small rooms (up to 400 square feet) for up to five hours on a single fill. The fragrant accessory is a perfect addition to the space where you sleep, meditate, or practice yoga. The Truky humidifier features a seven-color LED light, so you can select a colorful glow to match your current mood. Amazon buyers love this little humidifier, awarding it 4.5 stars for its chic design and the ability to use essential oils.